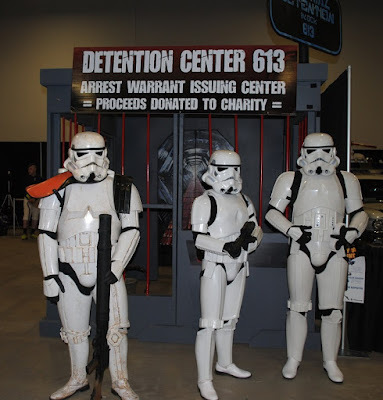 Sorry for the lack of updates this week - we've been prepping for next week's Phoenix Comicon. 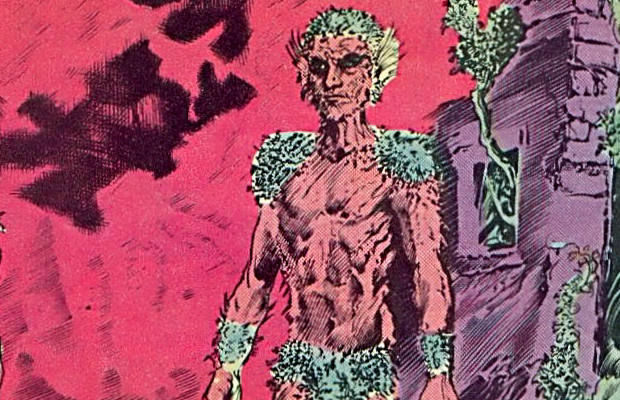 For today’s installment we will begin looking at the primitive Internet’s reaction to learning that all they knew about Swamp Thing... was wrong. As luck would have it, I hear tell there was recently a podcast on this subject... somewhere. You’re a resourceful bunch, I’m sure you can find it if you look hard enough. 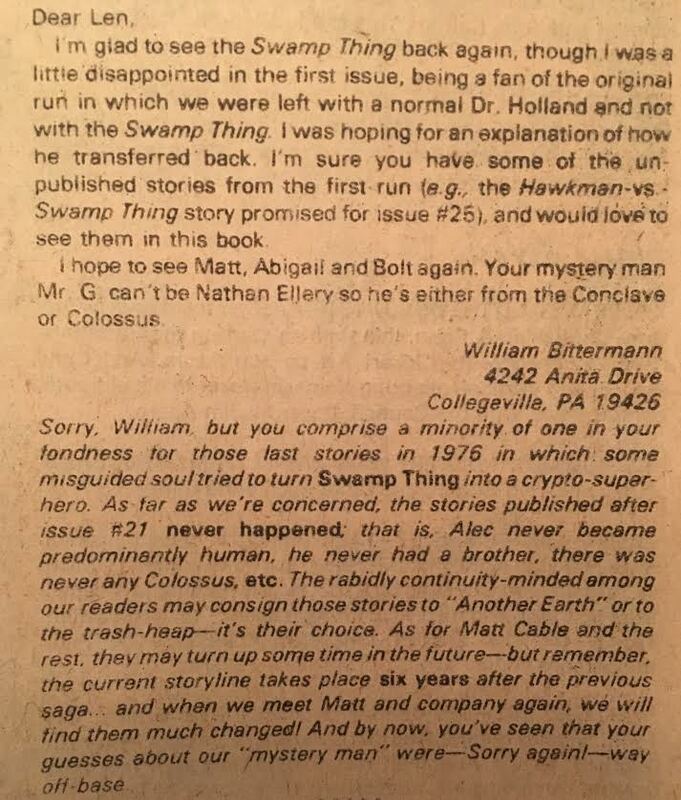 Let’s look at a missive from a fella we’ll call MC, "Swamp Thing #21 (spoiler)" dated November 6, 1983. Curiously, almost two full weeks before the release date, if DCIndexes is to be believed (Release date listed as November 17, 1983). More likely the posting date got janked at some point in the past quarter century. 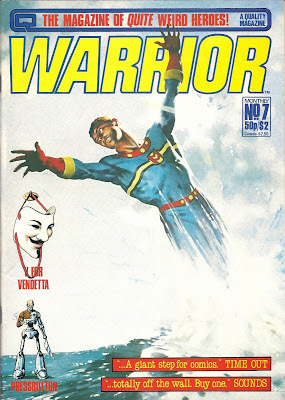 Starting at the start, Warrior Magazine was an anthology mag published in Great Britain. It featured several stories per issue, and would include Alan Moore’s early work on features such as V for Vendetta and the re-imagined Marvelman (aka: Miracleman). I lucked into a handful of these at a used-book store sometime around the turn of the century. They are amazing pieces of history to behold. Seeing the original V for Vendetta in all its black and white glory is a real treat. 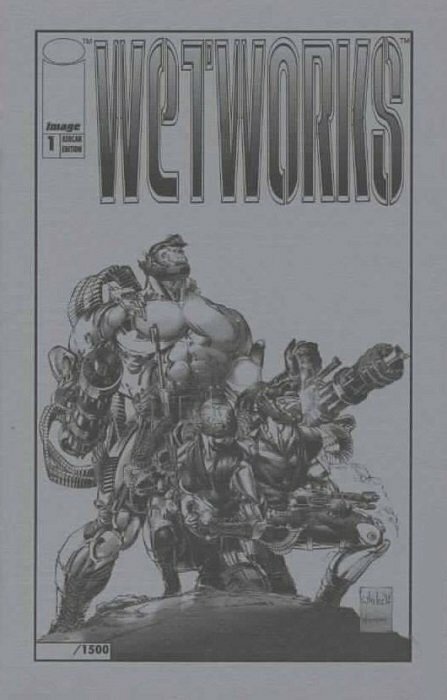 It would be Moore’s work in Warrior as well as 2000AD that caught the eye of Len Wein, who at the time was working as an editor for DC Comics. 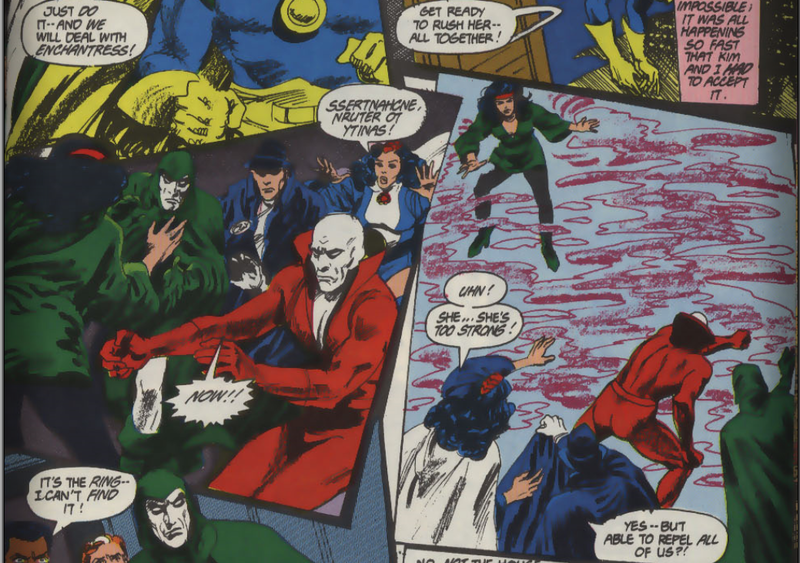 Contrary to the belief of many, Alan Moore’s first issue of (Saga of) Swamp Thing was NOT with issue #21’s "Anatomy Lesson", but with issue #20’s "Loose Ends". 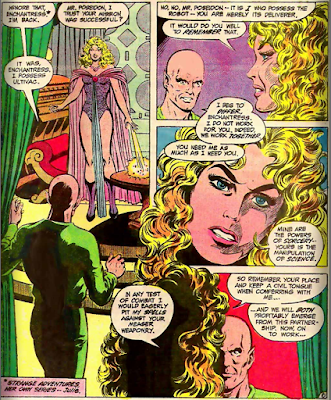 As MC offers, issue #20 was a somewhat middling affair, and served primarily as a bridge from the previous creator Martin Pasko’s stories to Moore’s new take on the character. It would close with the scene that would truly move the character into the new direction... it ends with the apparent death of the titular Swamp Thing. 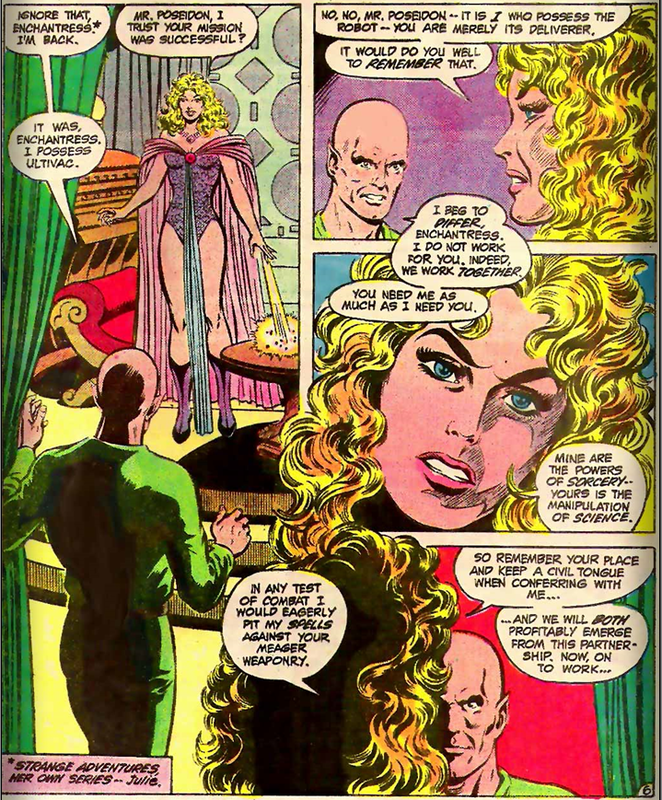 As MC continues, The Anatomy Lesson is completely narrated by Jason Woodrue, the Floronic Man. To his surprise (and likely that of the loyal readership) none of Swamp Thing’s internal “organs” would or could ever be of any use... at least in the way they’re intended. They were “stuffing” … Swamp Thing thought itself to be Alec Holland, and as such grew what it thought it needed to truly be Alec Holland. Woodrue thinks on a study done with flatworms... which, in fact actually occurred (on our Earth) in 1960. Granted, we get the inch-deep mile-wide explanation of the subject... that is all we really need here. The planarian worms would be fed pieces of chopped up worm, with the theory being that the eaten worm’s memories/skillset would be transferred to the eater worms. As if one’s memories are physically imprinted on a being’s RNA. On our Earth, the results were hotly contested... though, the test would be conducted time and again, often with government funding. MC’s thoughts on the take are primarily positive, though he draws mention how this flies in the face of earlier stories. As it turns out in the letters column for Saga of the Swamp Thing v2 #6, editor Len Wein states that “all of the stories published after issue #21 [of volume 1] never happened, that is, Alec never became predominantly human”. Moore’s take on Marvelman, as MC mentions has similar “everything you thought you knew was wrong” elements. 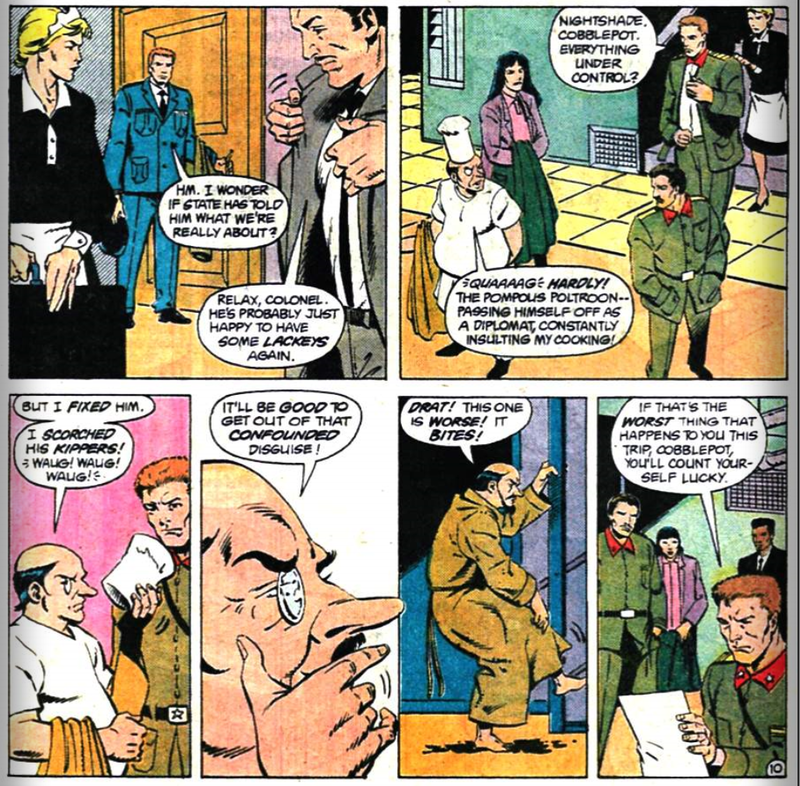 Not wanting to be totally beholden to what came before, however, not wanting to disregard it all either... the Silver-Age exploits of the Marvelman family were, as stated induced hallucinations. A perfect example of having one’s cake and eating it too. MC closes out his missive with a brief mention of a Jack Kirby return to the Fourth World characters and concept. I’m thinking this is what leads to the Hunger Dogs, however, before going any deeper into that subject, I’m going to have to do a bit of homework. When I met Phil Hester, artist on 2008's El Diablo series, at the guest table of North Texas Comic Book Show he was wearing my shirt. Okay, that's not exactly true. He was wearing the same exact color and style of shirt I had put on that morning (and then sweated through) in preparation for my first-ever convention coverage as a writer for DCinthe80s. "I was going to wear that shirt," was all I could think to say. He looked at me a little befuddled, this unassuming, soft-spoken man with the easy smile. I attempted to explain I had a printer issue that morning and in my cursing and kicking, perspiration had forced me to change shirts. But that was the exact same shirt I was going to wear. We looked at each other and, in unison, said the name of the store we bought it from and I knew this interview was going to be a load of fun. It wasn't until I met Jai Nitz that I felt completely at ease, though. Jai wrote the version of El Diablo that will be soon thrilling audiences in theaters [August 5, 2016] and he shows the same quick wit in person that he does in print. The easy-going pace of the North Texas Comic Book Show allowed the three of us to sit in the Downtown Dallas Doubletree Hotel conference room and have a chat about the origins of El Diablo, the dubious honor that working on this character had brought them, and the likelihood that this would be his only big screen appearance. 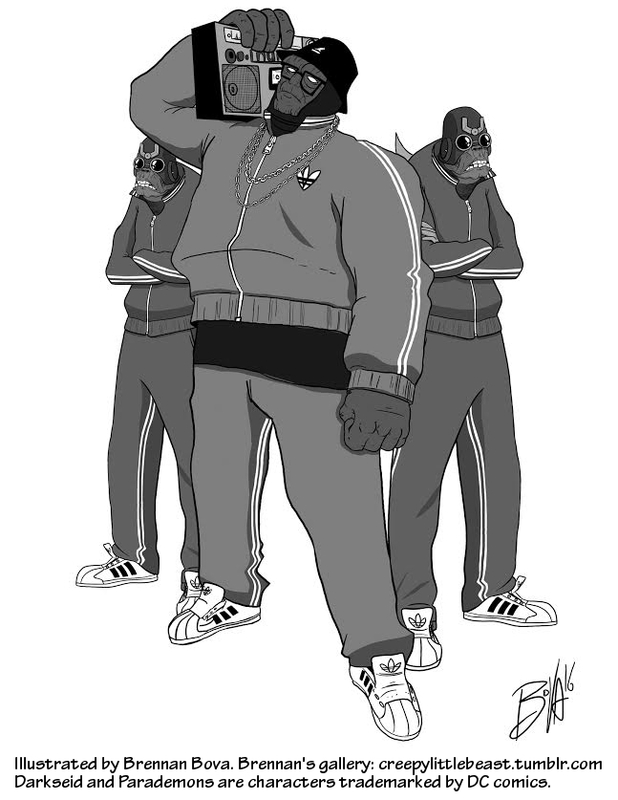 DCinthe80s: With the new Suicide Squad movie coming out, El Diablo has become a pretty hot topic again. 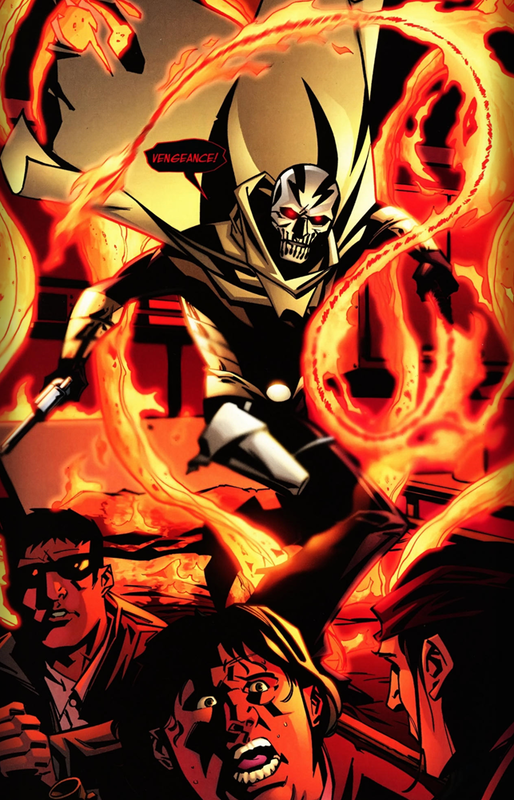 Given that prior incarnations of El Diablo didn't have powers, why did you choose an existing name for what was essentially a brand new character? Jai Nitz: What happened was: when I was at the DC offices I was given a chance to pitch my heart's desire. I was working on a couple of different things at DC at the time and the editors I was working for said "if you could pitch whatever you want, what would you pitch?" And I am Latino and I grew up with zero Latino superheroes. I have always loved the name 'El Diablo'. And I always thought both incarnations of the character, the original one – the western was by Gray Morrow and Robert Kanigher, when they created their El Diablo, he's a really bad Zorro knock-off. I mean a REALLY bad Zorro knock-off. And it's a white guy. Like why would a white guy choose to be El Diablo? 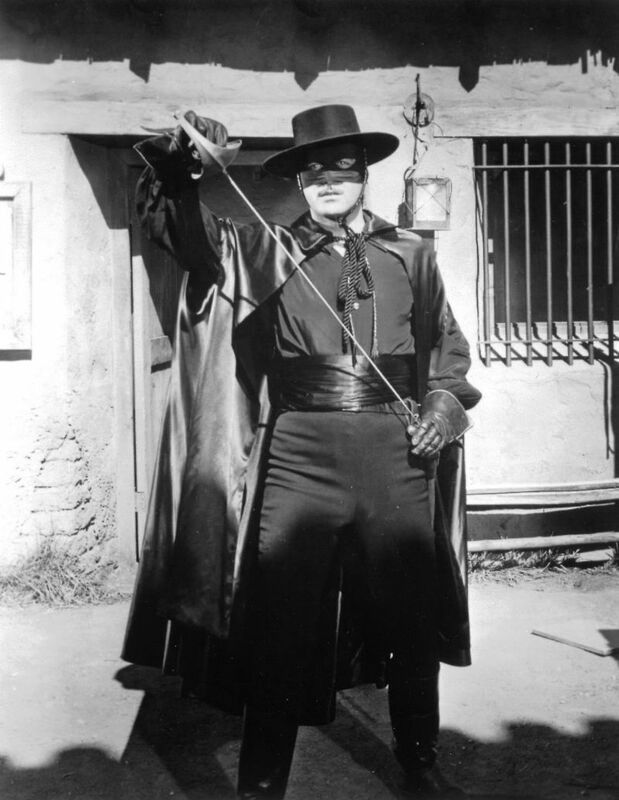 Whereas Zorro is a Mexican guy. That makes a lot of sense that he would call himself "The Fox." But the fact that just some random white dude in the old west pops up El Diablo is in my opinion patiently ridiculous. And then the second El Diablo was created by Gerard Jones and Mike Parobeck. 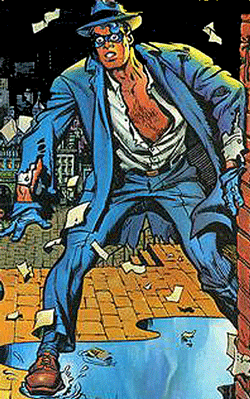 Gerard Jones has said often that it was his version of The Spirit. It was this non-powered guy trying to be in local politics. It was about as unmarketable and unsellable of an idea as I have ever heard. 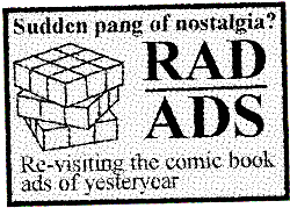 In looking at the comic itself, there is nothing wrong with it except it had as little bombast in a time when you needed bombast. Phil Hester: Everything was over the top at that time and the relative success of that book had everything to do with just the talent. 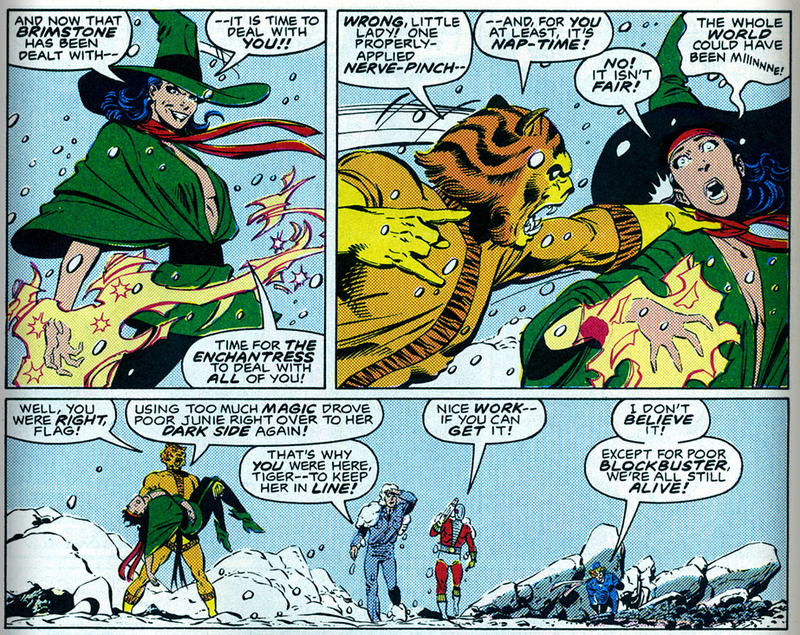 Phil Hester: ...or doing a lot of mid-Ohio conventions. Jai Nitz: Yeah, he's basically the style that Bruce Timm end up using for Batman: The Animated Series. 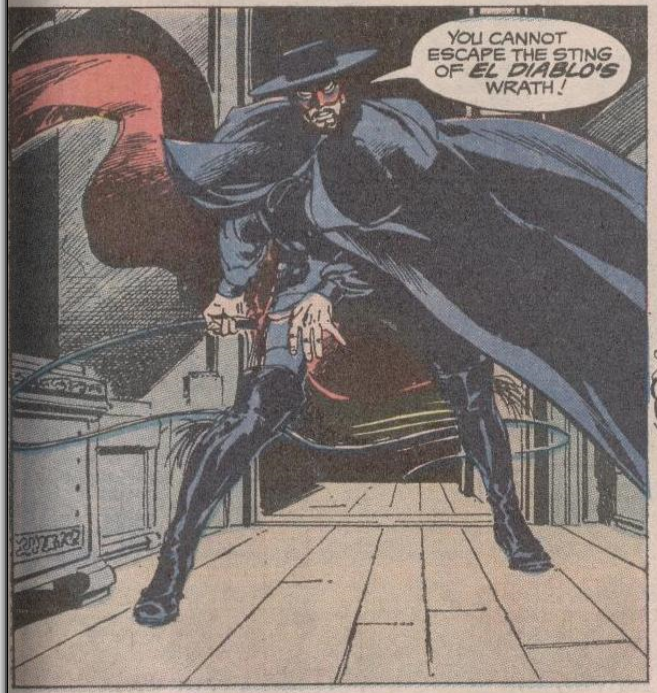 So in short, I have read every El Diablo appearance ever, because I prepped for it when I did this book that I did not want it to screw up anything good that had come before. There is very little good. I am not disparaging the talents of the many people who have worked on El Diablo, but there is very little good. 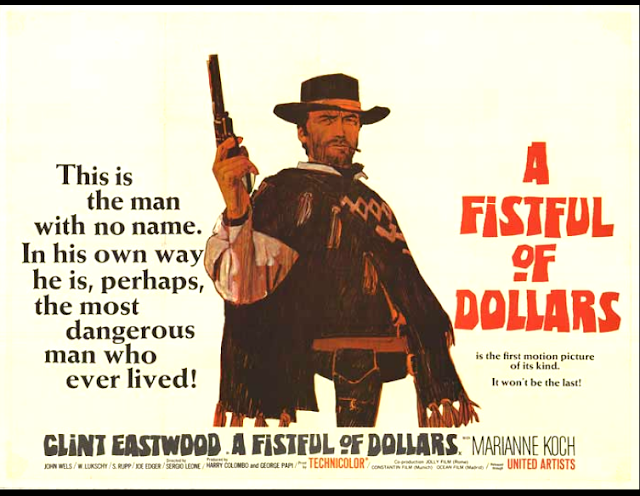 There is one El Diablo western story. It is four pages long. The story is terrible but it is Neal Adams inked by Bernie Wrightson. So that's great. That's good. But those the only four pages that are worth a damn of the entire canon. 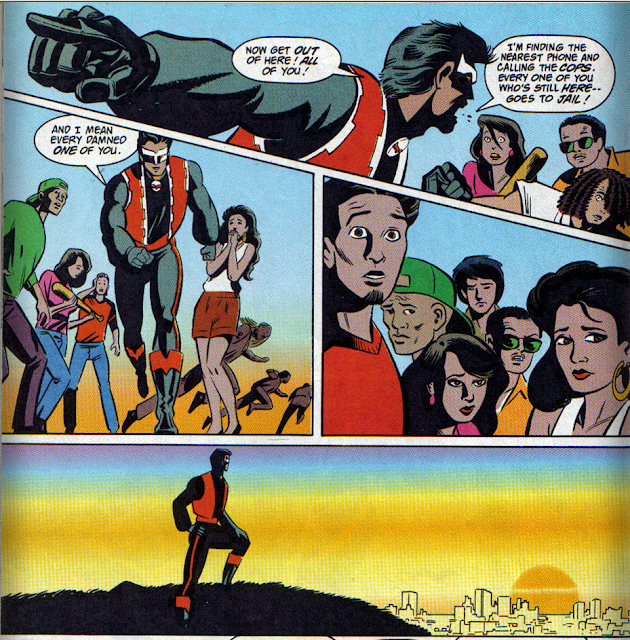 Phil Hester: I think it is the only one people remember. Jai Nitz: And it is memorable in its own way. But that's the whole point: I love the name. I love the idea of it actually being a Latino guy, but I wanted it to be something where it had some superpowers just to have gravitas... some ability to tell a story that, like I said, had some bombast to it. I did not want to tread over the same path of the first two to begin with. If we had been really, really smart we would have just come up with a new character name. 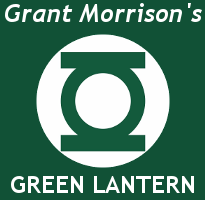 But the name was so good and it was okay to tie to the old stuff and make it better. Phil Hester: And DC had some interest in revamping the character, so they wouldn't have just tossed that out for you if they didn't want you to do that. 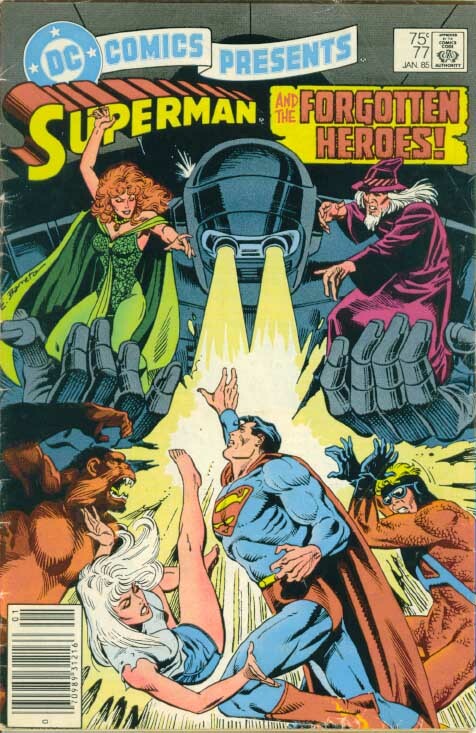 DCinthe80s: Perhaps keeping a copyright in play? 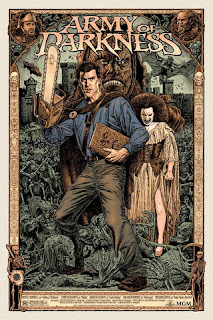 Jai Nitz: Yeah and it's funny because obviously at the time when we did this book – I'm very proud of it. It is a book that I still think stands up. 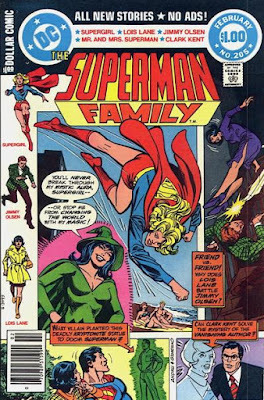 And most people have never read it and never seen it because, while I am very proud of it, it was one of the worst selling titles in the history of DC comics. 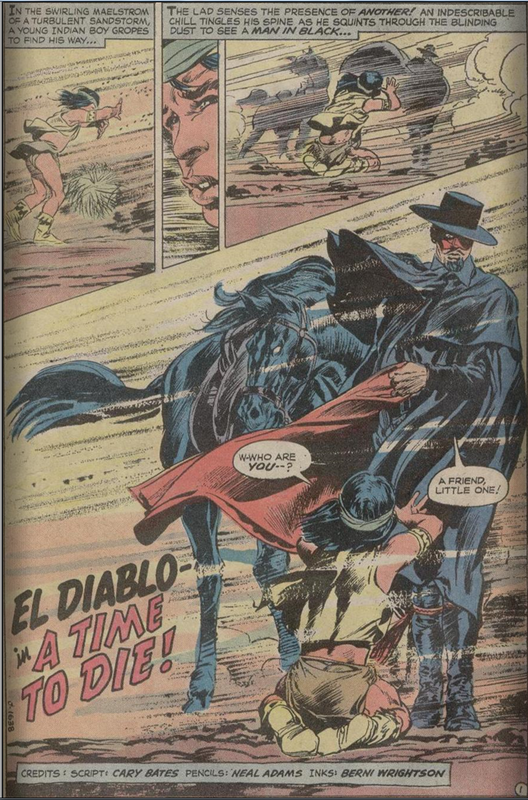 I think issue 6 of El Diablo was THE worst selling really DC comic EVER. Worst selling DC comic ever? Jai Nitz: Yeah. It's in the bottom five anyway. Like it sold very, very poorly. So I always said that was one of my claims to fame: I had one of the worst selling DC titles of all time. If you had told me two years after the book came out this guy's is going to be in a movie of any kind, I would have said "No he won't. That's never gonna happen." The fact that it is – hey, that's amazing. I'm very happy. 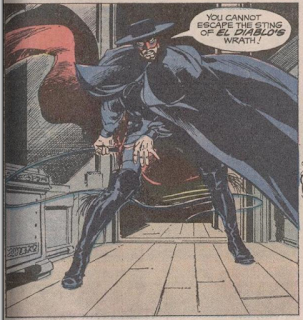 DCinthe80s: You nixed a lot of character designs for El Diablo, and one of them sounded interesting to me. Why not a lava monster? I'm saying: everybody loves a good lava monster. Jai Nitz: The lava monster was second, I believe. 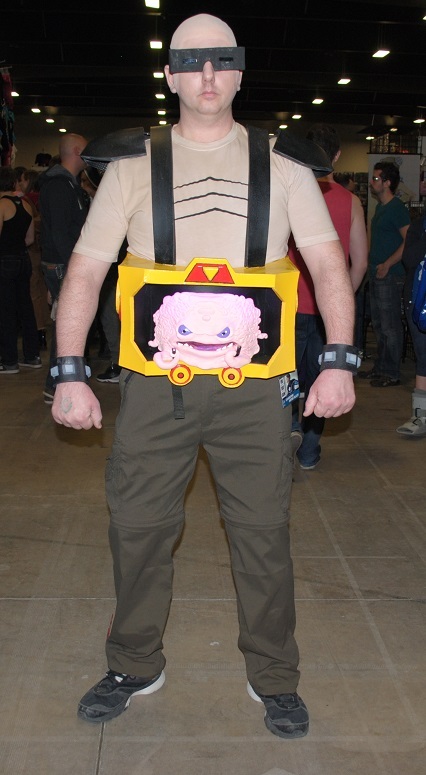 My original idea was for him to be like a Balrog from Lord of the Rings. Phil drew that and Phil wisely said there is no emotion on a Balrog's face. And I went "you are 100% right. There is no emotion on a Balrog's face". Phil Hester: He can't act. Jai Nitz: Right, he has to say "I'm laughing." You can't tell that he's laughing. DCinthe80s: You have to use word balloons for everything, basically? Jai Nitz: So that just didn't work. When Phil turned in the second design, was the lava monster thing. It looked really cool. I don't remember why we skipped it. Phil Hester: It's not really heroic still. Jai Nitz: Oh, it wasn't heroic at all. 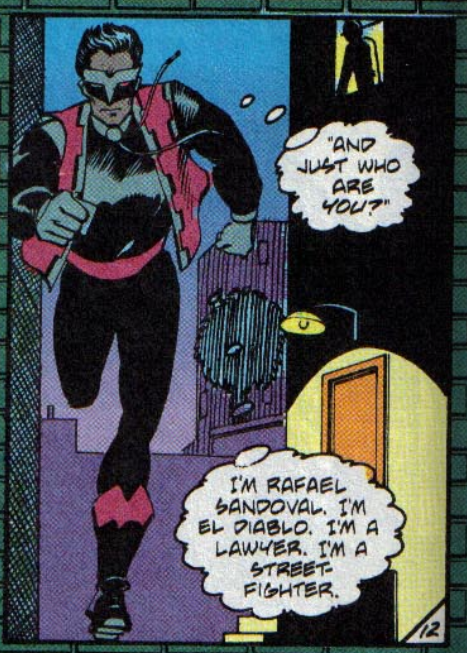 Phil Hester: And he's kind of an anti-hero but he has to interact with superheroes. 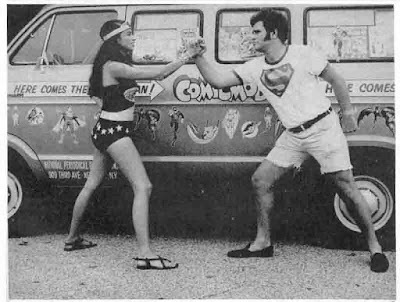 An import component of the story was his wrestling with his humanity. 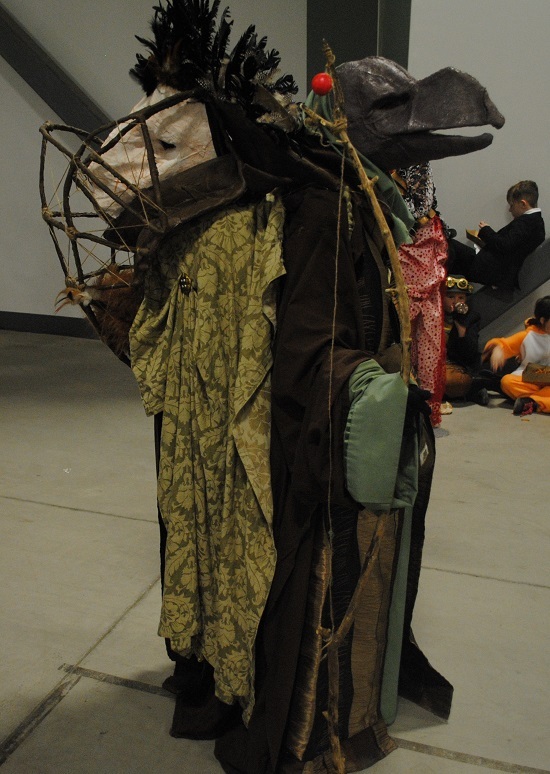 To make him identify with a human was important. DCinthe80s: You're saying the character design plays a big part in the visual storytelling medium. 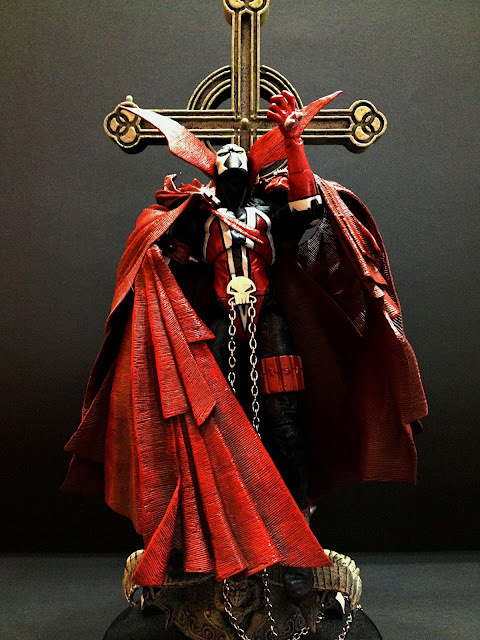 What did you want the look of El Diablo to say about him as a character? Phil Hester: We wanted him to be readily identifiable as an anti-hero. For me when I think about anti-heroes, I think about The Man With No Name. So that's where the serape came from. Since he had the old west origins and the story ties back to those origins we decided to go with that sort of "spaghetti western" look but then jazz it up the luca mask and things like that. 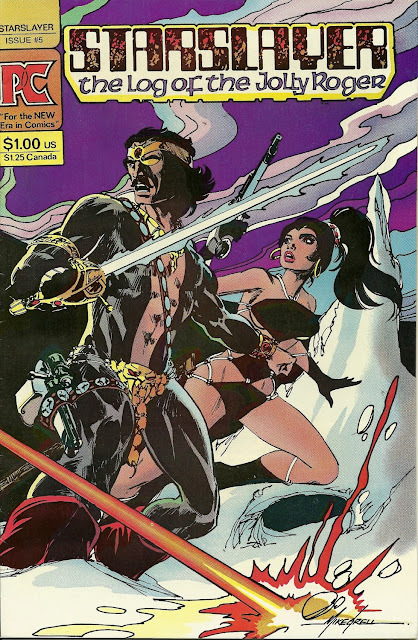 DCinthe80s: Whose decision was it for him to join the Suicide Squad? 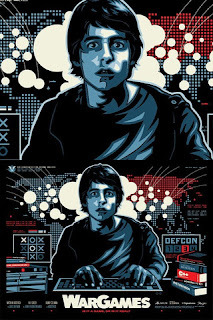 Jai Nitz: Neither one of us? Phil Hester: But we're glad he did. DCinthe80s: They didn't consult with you about the character or anything? They didn't talk with either of you? Phil Hester: No, it was a happy surprise to us. Jai Nitz: From what I was told, because I asked what happened – I didn't know they were going to use the character. When they did the New 52 at DC, DC went through their entire catalogue of characters and said these are the characters we are going to use. They had a shocking disparity of minorities. Very, very few minority characters. So when they did that they were specific about leaning to make there be as many minority characters as possible and they did that for different black characters, obviously we've had more women characters in the New 52 but they had very few Asian characters and very few Latino characters. In the New 52 they gave Katana her own book and she had never had that before. They made a real push with Katana, oddly enough, where she was part of the Batman cartoon Beware the Batman and she was in a lot of different stuff. 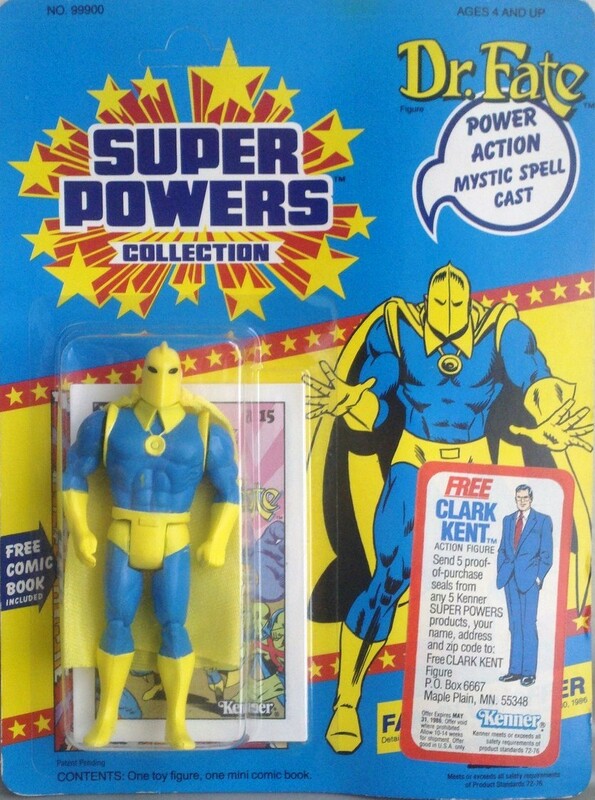 With Latino characters they used Blue Beetle for almost everything. They said we are going to put Blue Beetle in everything they could. Teen Titans had Blue Beetle, Blue Beetle had Blue Beetle and lots of different stuff like that. 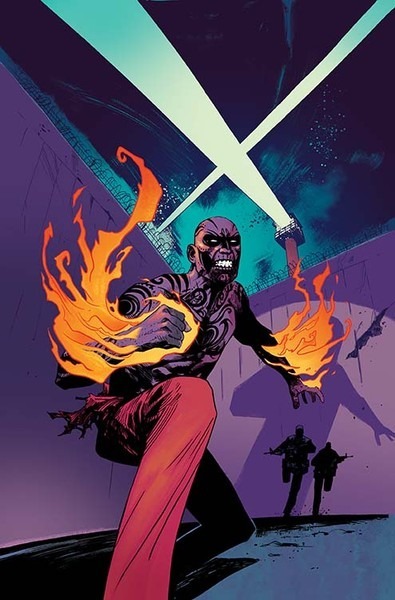 But then they didn't really have many other Latino characters that way, so they used El Diablo for Suicide Squad, because he fits in for the way the team was working. Again we didn't have any say over it, I just know they needed Latino characters. Phil Hester: And he fits that "anti-hero" sort of Deadshot-type of antihero mode. Jai Nitz: The bad guy you're rooting for. Someone who has to do good even though he's bad. It fit and it worked, so obviously there is no complaints from either of us. But we had not been prepped for it in any way, didn't expect it in any way and even when we did I was very happy as someone of Latino descent that they were using my Latino version of the character. And he doesn't look the same and he doesn't have powers that work the same, but everything was a revamp for the new birth of the New 52 anyway so none of that was a problem for me, I went "Ahh, who cares they are still using the character. That's great!" Again, I didn't expect anything of it. The fact that he shows up in the movie at all is bananas to me. DCinthe80s: Any fear at all that, with the title of the book and the title of the movie being the 'Suicide Squad', that they might kill your character? Jai Nitz: Yeah, it's not "Everyone Lives Squad." Phil Hester: And if there are Vegas odds on it, I think he's probably your safest bet to die in the movie. Well, maybe him or Slipknot. Jai Nitz: There are a lot of possibilities for the character dying but the good news for me was they let me meet some of the actors and it was really cool. I got to meet the director, David Ayer who's also writing the film. He uses a lot of Latino actors in all of his films because he grew up in East LA. He grew up in a Hispanic community. His wife is Latina. It wouldn't shock me if lives or dies. David might be "Hey, I'm not killing the only Latino in the movie," but it also wouldn't shock me if he dies... Like I said, It's not "Everyone Lives Squad." DC in the 80s: What projects are you both currently working on? Jai Nitz: Go get Mythic! It's good! Phil Hester: The trade will be out in June and I just wrote a Deathstroke Annual that will be out in June as well. It was shortly announced after this interview that Jai would be returning to DC to work on the new SUICIDE SQUAD MOST WANTED: EL DIABLO AND... mini-series. This interview conducted by Michael Alan Carlyle. If you want to reference any of this article/interview, please credit Michael Alan Carlyle and www.dcinthe80s.com. Michael also writes the very excellent Crapbox of Son Of Cthulhu blog which we recommend you check out. Special thanks to Jai Nitz, Phil Hester and the North Texas Comic Book Show for making this possible. So the Penguin is needed on this one because he’s a better mission strategist than anyone else on the squad. Sure, I’ll buy that. 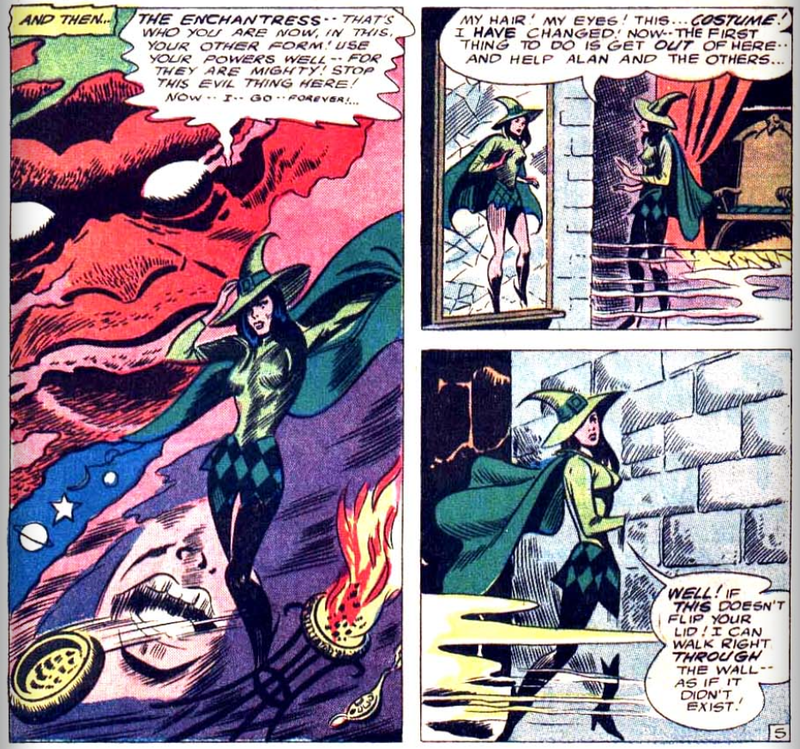 We get some truly interesting back story on June Moon and how she became Enchantress. Her taut exchange with the psychiatrist should strike a chord with the bipolar readers among us, to say the least. Didn’t expect to see Deadshot having a drink at Boomerang’s place. Didn’t think he liked Boomerang, but it’s not like he’s got any other buddies around to chill with. Boomerang’s being left behind on this mission, so he’s cooking up a scheme to scratch his itch for some excitement of the illegal variety. That’s what I like about this book; in many ways these folks are just ordinary screwed up people with ordinary screwed up problems just like you and me, but they just keep living and making the best of it. They just happen to wear costumes to work. Most of us would too if we were allowed. So fast forward and the gang is deep undercover on the grounds of the hospital where the extraction target, Trigoran, is being detained. 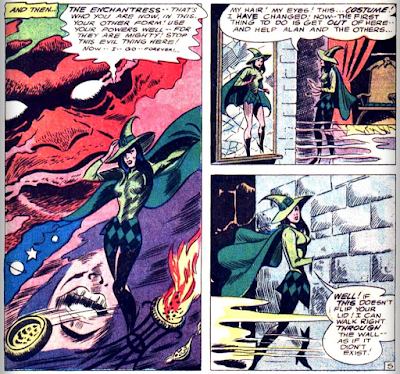 So the plan is coming along splendidly and it’s time for Enchantress to pitch in, and of course we already know how that’s going to go before it happens. Flagg drops this eighties one-liner: “Hell may not be frozen over, but Russia is,” and I’m looking around for Action Jackson to pop out of the woods and ask, “How do you like ya ribs?” So Enchantress and Nightshade rendezvous with Nemesis but then the plan falls apart when the target, Trigoran doesn’t want to leave. And that ends issue 5. I don’t know if Suicide Squad is a typical example of DC storytelling, but the more I read, the more I just feel like the writers and artists really knew what they were doing. Everything just flows well, the credibility is there, and the rising tension is palpable. Good job DC! 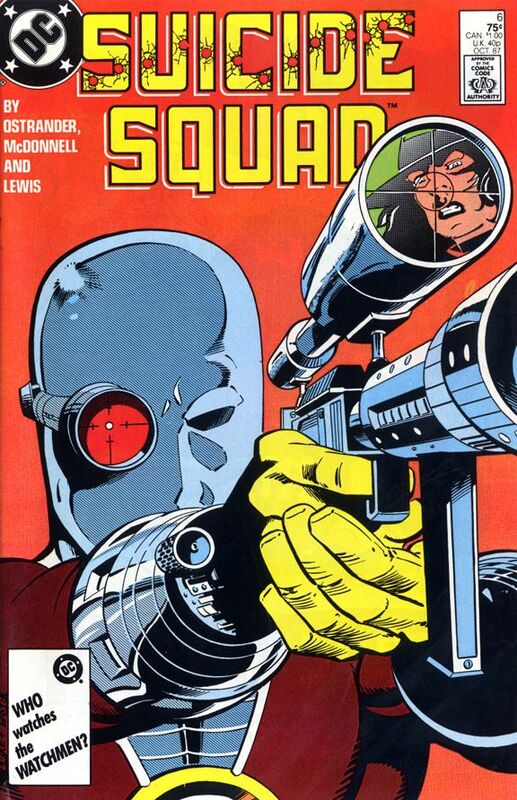 The cover of issue 6 is fantastic, a close-up of Deadshot aiming a rifle on a red backdrop. So cool. What I love about Deadshot is his consistency. His image, personality, lifestyle all match. 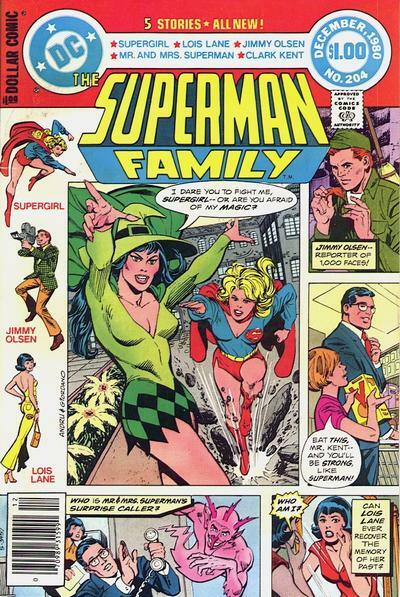 And what I love about Suicide Squad is the inside look we get at characters that aren’t really heroes. Because you start to see everyone has at least a little hero in them, and the parts that are self-serving are just damaged goods, for the most part. So the mission is blown, Enchantress is off the rails, and it’s up to Deadshot to bring her down without killing her. I think there is instant respect, especially among male egos, when in the company of a true marksman. We all feel that rush when we get the crumpled paper into the waste basket from across the room. It requires presence. Focus. Deadshot is just so damn good. I mean, yeah, so are all the other marksmen and markswomen of the comic book universes – let’s face it, ranged combat experts are an easy way to present new characters without having to go with powers, that and martial arts. But Deadshot is really winning me over. He’s just a true man’s man with a subtle sense of humor, a bit of a death wish, but not too full of himself to just come out and say he’s got a rep to protect. I think Lawton has the stuff heroes are made of and just doesn’t know it. For now he’s going with whatever the stuff is that goes ahead and shoots a Russian soldier in the head to get their attention. Should’ve told him, Flagg, should’ve told him! It’s like in Terminator 2 when John freaks out at his new Terminator friend. Ha ha! I love it! Then Lawton upgrades to some kind of bazooka and starts taking out transport trucks. He misses one on purpose just to “ make things interesting.” Penguin isn’t a fan. Ha ha ha! They get clear of the soldiers and Nightshades pushes herself to her limits to eventually get them all back to the embassy where they get their heads handed to them by secretary to the ambassador, Leonard Twilliby. Apparently they’ve created an international situation. 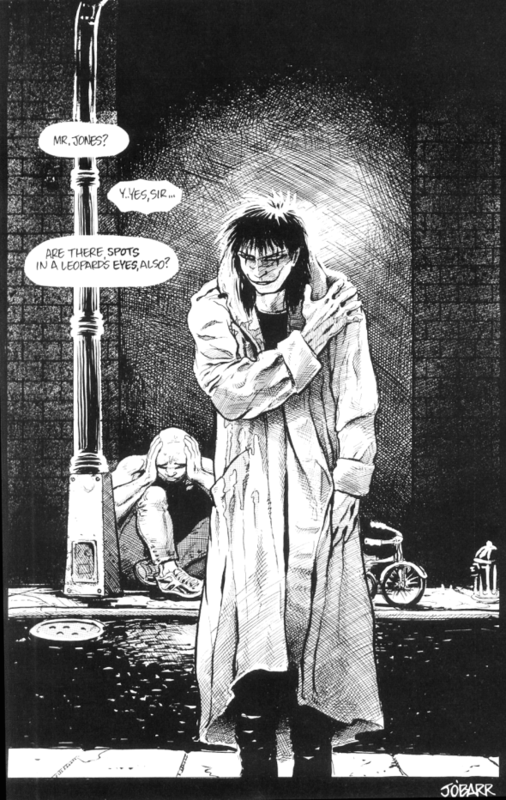 Lawton get’s the final panel where he casually lights up a smoke and with a ghost of a smile on his lips, asks Flagg what he wants to do now? Love it! Issue 7 introduces us to “The People’s Heroes,” I guess like a Russian Avengers? 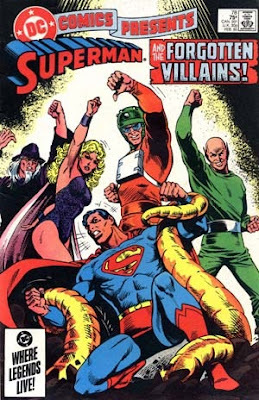 Or, Ah – sorry - I meant to say, Russian Justice League? Nice. I can get behind that. Task Force X is in the embassy basement with 30 minutes to surrender, trying to figure out what to do. Lawton suggests killing themselves. Awesome. As you can guess, Flagg wanted to explore some other options first. So they work out a plan which involves stealing passports and clothes from Dudley DuReiht, (no joke) and some other American tourists. To keep them from talking, Penguin and Deadshot decide to go ahead and murder all the innocent tourists. An ashtray to the skull and a left cross to the jaw later, Flagg convinces Deadshot to discuss other alternatives. It’s moments like this my Deadshot fan club has to turn a blind eye. Yeah he’s maybe an anti-hero… or maybe just a sociopath piece of garbage? Ah well that’s what creates the drama in a book like this. Nemesis takes the fall so the squad can escape while simultaneously quitting said squad. He makes the comment that Penguin and Deadshot belong in jail, and of course, he’s right. When you think about it, the Suicide Squad is government corruption gone unchecked, especially when it’s for a stupid political mission like this one. This book is entertaining because it is about individuals not ideals. Here we get a single page to check in on Boomerang back at his New Orleans apartment. 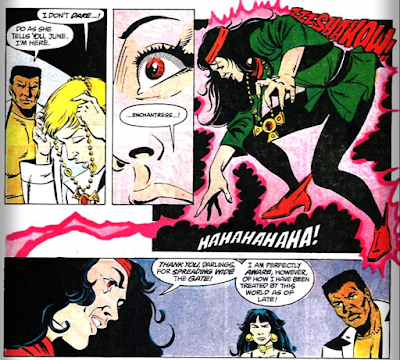 He’s putting some pretty clumsy moves on a lady who turns out to be Black Orchid. Waller sent her to bring in Harkness who had been avoiding her calls by, y’know… leaving the phone of the hook. Remember that? I bet not everybody reading this does. I remember when I was a kid if your friend’s household had an answering machine it was exciting because you could actually tell your friend you were trying to find them. (Not as exciting when the friend’s parents told you to stop leaving so many messages and filling up the machine.) I love how Black Orchid flies away with Harkness dangling him by the freaking foot. That would be absolutely terrifying I think. Ah poor Boomerang. He’s like the court jester of this series. Cut to the squad on a train. Wolves are following it making Pengy nervous and Deadshot is playing it up. There is a nice dialogue here where Deadshot tells Penguin he would likely do well in Russia’s corrupt political arena, unlike lone wolves like he and Flagg. Flagg objects to the comparison Lawton makes between them. I really like that this book gives time for moments like his. Just really good character- driven fiction. and the visuals are very well done as the conversation concludes with wolf silhouettes outside watching the train. 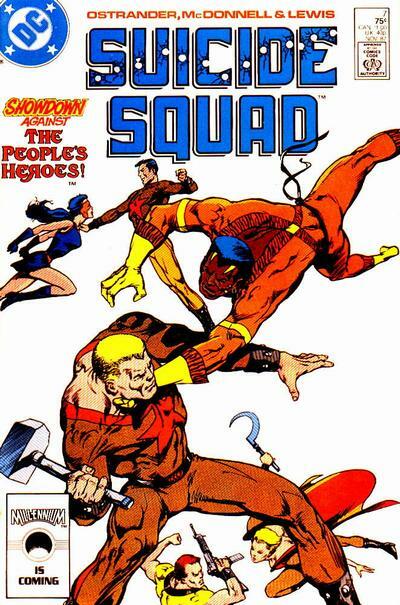 So the People’s Heroes catch up with the gang out on the ice and Bronze Tiger, Black Orchid, and Boomerang show up to help just in time, and thank God because Flagg and company are probably half frozen out there walking in the Russian tundra without their winter coats! 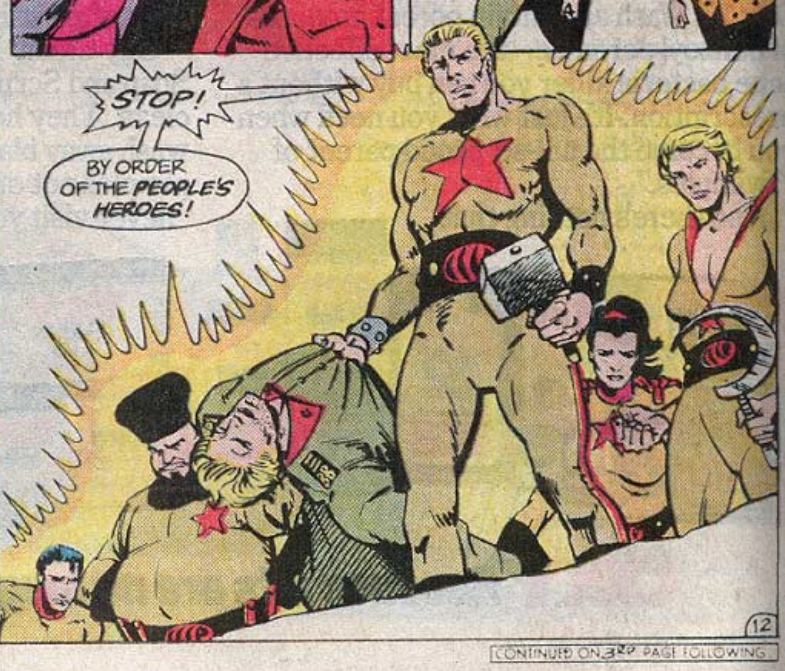 The People’s Heroes have a nice mix of powers to go with their stunted English dialogue. I’ll skip the play by play here and let you read this for yourself. It’s a really good battle. Some Russian ‘copters show up then Sheba the Task Force X ‘copter shows up to counter fire. Then Action Jackson and John Rambo jump out of Sheba without parachutes or shirts and turn the tide for good. I may have taken a little artistic license with some of the details but you get the point. In the end Miss Trigorin dies and becomes a martyr like she wanted all along. DC in the 80s was fortunate enough to be able to attend the 2016 Ottawa Comiccon located at the EY Centre this year. 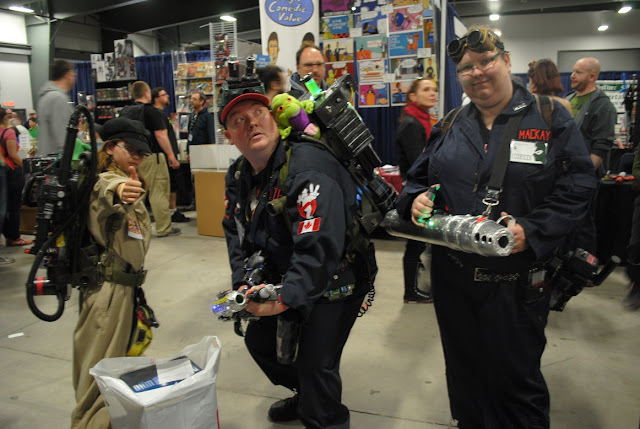 This convention surpassed all expectations and treated many comic book/Steam Punk/Star Wars/Dr Who/Star Trek/Ghostbusters/anime fans to an exciting array of special guests, exhibitors, vendors, panel discussions and special events. There was so much to see and do that this article can easily take up 20,000 words. Since I'm a child of the 80s, and I tend to gravitate towards 80s nostalgia, that's what we'll be spotlighting in this article. Who were the special guests at this convention? Well, TV/movie celebrities that might interest you included Billy Dee William (best known as Lando from Empire Strikes Back), Carl Weathers (Apollo Creed from the Rocky films) and Lou Ferringo (the Hulk from 1978's The Incredible Hulk TV series). Before you ask: nah, we didn't meet/chat with any of them. 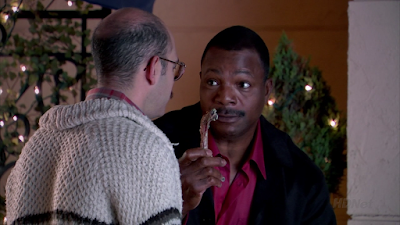 Carl Weathers in Arrested Development: "Baby, you've got a stew going"
Comic professionals at this event included Mike Grell (John Sable Freelance, Warlord, Green Arrow), Kevin Eastman (Teenage Mutant Ninja Turtles), Whilce Portacio (Punisher, X-Factor, Uncanny X-Men), James O'Barr (The Crow), Ron Sutton and Janet Hetherington. 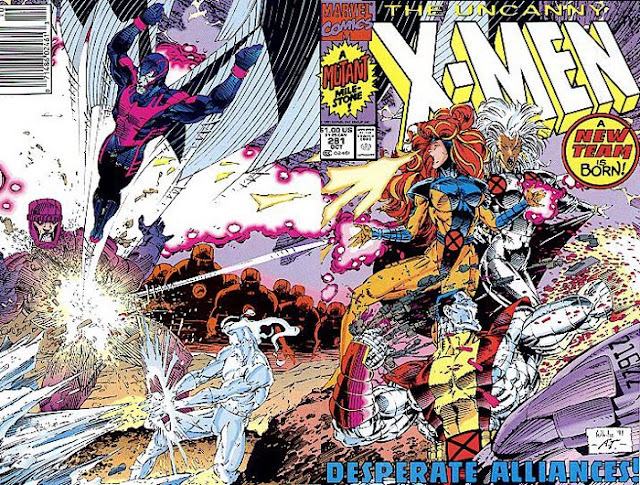 There were a few other comic professionals whose work I wasn't very familiar with (i.e. Dan Parent, Dave Ross, Eric Talbot, Marcus To, Jim Su, Mike Rooth, Robert Bailey, Tom Fowler, Fernando Ruiz, and Mark Shainblum) and I kicked myself and made a mental note to do more research on convention guests next time. Portacio, Grell and O'Barr held a panel about indie comics, but like everything else, it just ended up deviating into a conversation about Image Comics and the 'gimmick era'. The Portacio/Grell/O'Barr panel was the only panel I attended - I'm not much of a 'panel guy' and would much rather wander the convention floor chatting with cosplayers and DC comics fans, but I will make an exception for a panel that is relevant to DC in the 80s' interests. 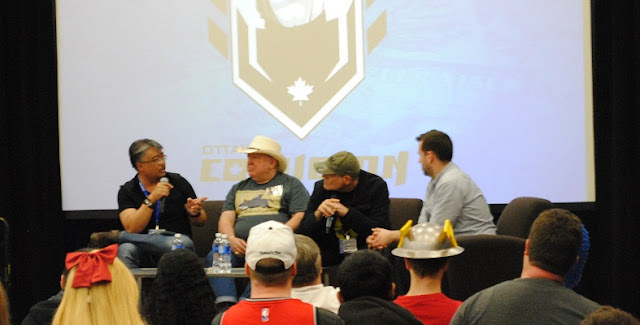 Early at the convention, I manged to get a long interview with Mike Grell and a few quick questions with Kevin Eastman. I did chat with James O'Barr briefly (his voice sounds like Jack Nicholson's, in case you ever wondered) and I asked him if he'd ever work for DC comics. He told me the DC character he'd most like to work on is Batman, but he would need FULL creative control. So that answers THAT. Guest appearances by 80s vehicles included the Ecto-1 from Ghostbusters (1984) and the DeLorean from Back to the Future (1985) (not sure if they were the originals or simply replicas). It was one of those exhibits where you can have your photo professionally with the vehicle for a fee (all proceeds from photos taken with the DeLorean went to the Michael J. Fox Foundation for Parkinson’s Research - so, about $3000). Weequay! 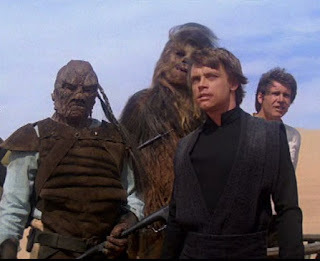 Best known for 1) having a complexion similar to a California Raisin's, and 2) standing right next to Luke Skywalker A LOT while on Jabba's skiff (before he gets shot/thrown into the Sarlaac pit). This cosplayer casually mentioned that his Weequay mask was a special order/custom made, and there are only 8 in all of North America. This action figure was obviously bought for me by a well-intentioned (but clueless) relative who grabbed him because he was the last Star Wars fig on the shelf at Sears. Whatever. 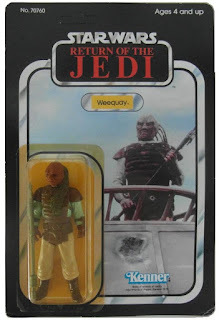 I played with Weequay so hard throughout my youth that his back was permanently stained with melted crayon wax. And of course I lost his little weapon within the first day of owning him. (In hindsight, my parents probably threw it away for fear of me swallowing it.) I remember constantly rewinding and fast-forwarding to the 'battle on Jabba's skiff' scene in Return of the Jedi (1983) and I think I permanently ruined our VHS tape and/or VCR. As I was researching Weequay here, I found out that Star Wars fandom gave him a name: Queequeg/Pagetti Rook. They gave you a heart and they gave you a name, Weequay. 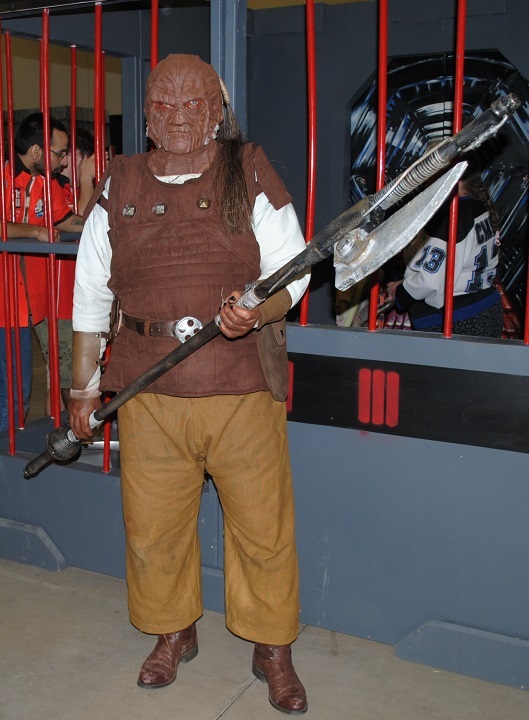 Unlike a few other "geek" fandom events we attended earlier this year, the DC cosplay was strong at this one. The most popular DC cosplay this year was Harley Quinn, Deathstroke, the Joker, Poison Ivy, Catowoman, Zatanna and... for some reason... the Riddler. 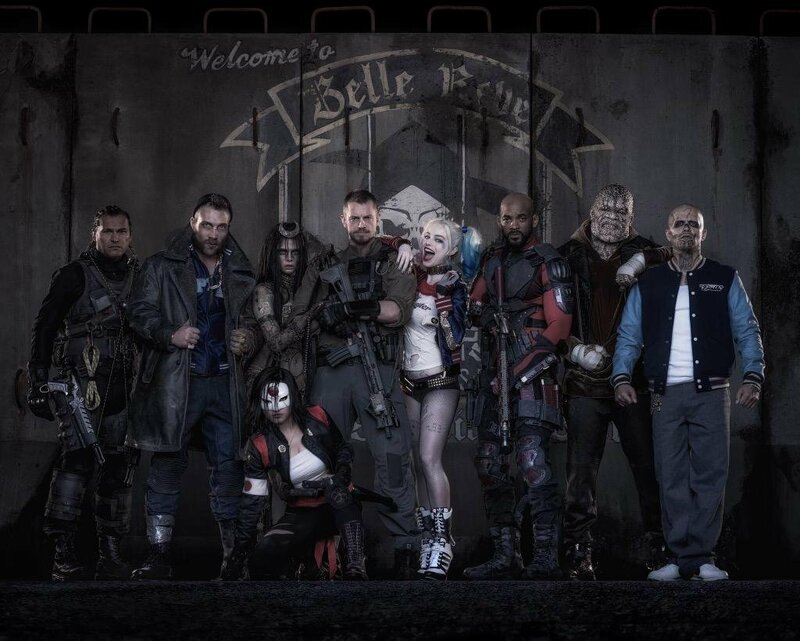 Harley and Joker I can easily understand (with the new Suicide Squad film being released this August). 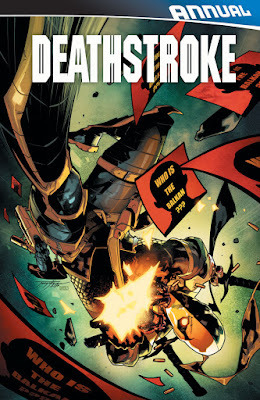 Deathstroke recently received a resurge in popularity thanks to the CW Arrow series, so that makes sense. Poison Ivy, Catwoman and Zatanna have been consistently popular costumes among female cosplayers. 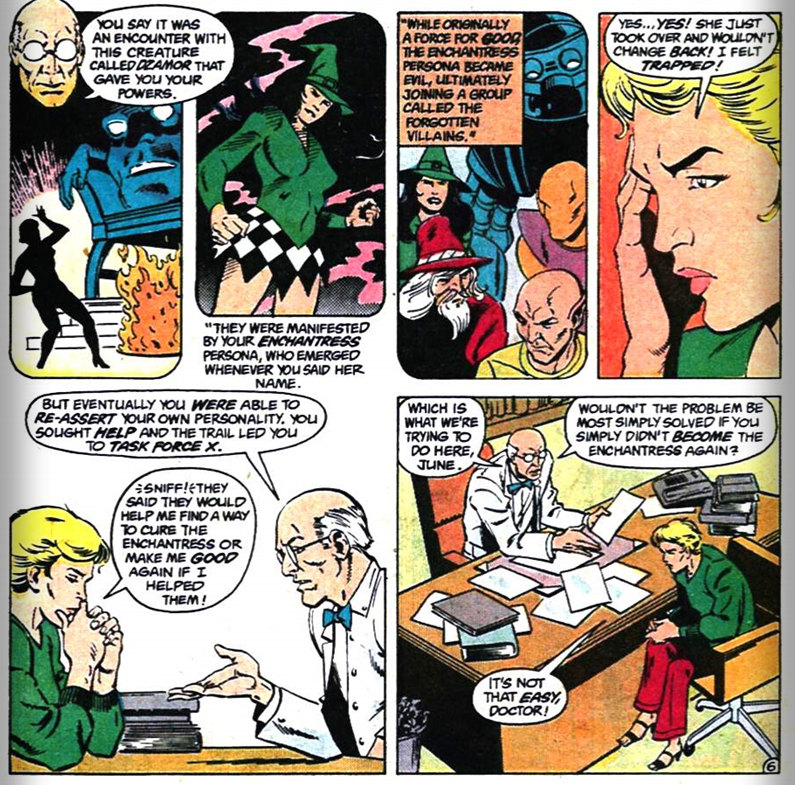 But Riddler? That has me scratching my head. 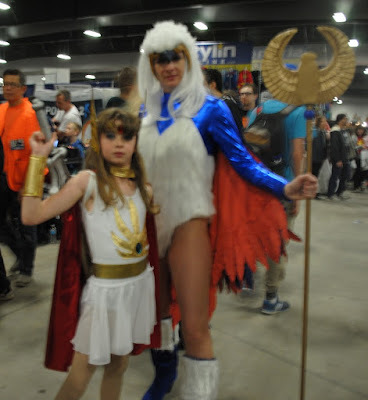 In the long-view, *any* DC comics representation is appreciated among the cosplay community, so I'm not complaining. 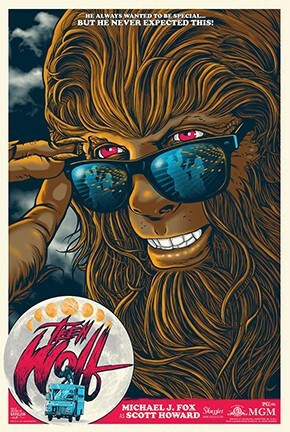 A really interesting '80s nostalgia' Ottawa-based vendor that I absolutely NEED to mention is Skuzzles, a retailer who sells limited edition screen print movie posters of really rad 80s movies. 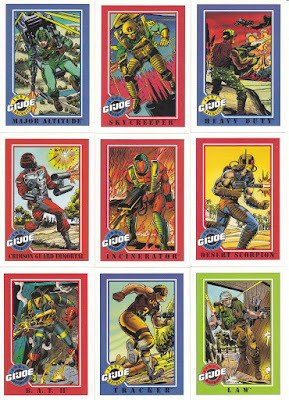 The Impel GI Joe card set was released in 1991 and was frequently advertised in comic books. 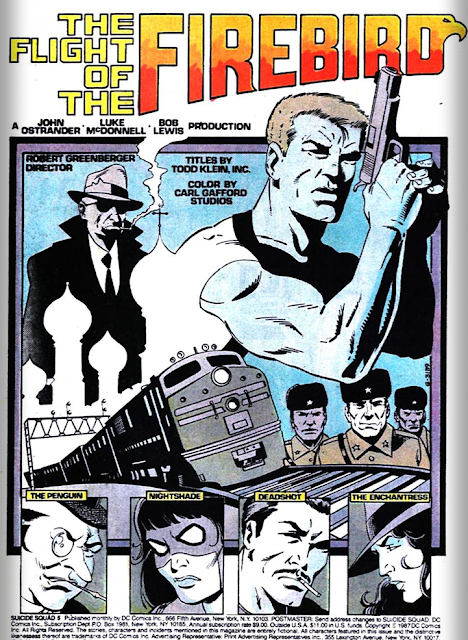 Now, unless I've got my p's and q's mixed up, at this time GI Joe was licensed by Marvel Comics - and Marvel was publishing a GI Joe comic book ongoing series in the late 80s/early 90s that I was quite fond of. 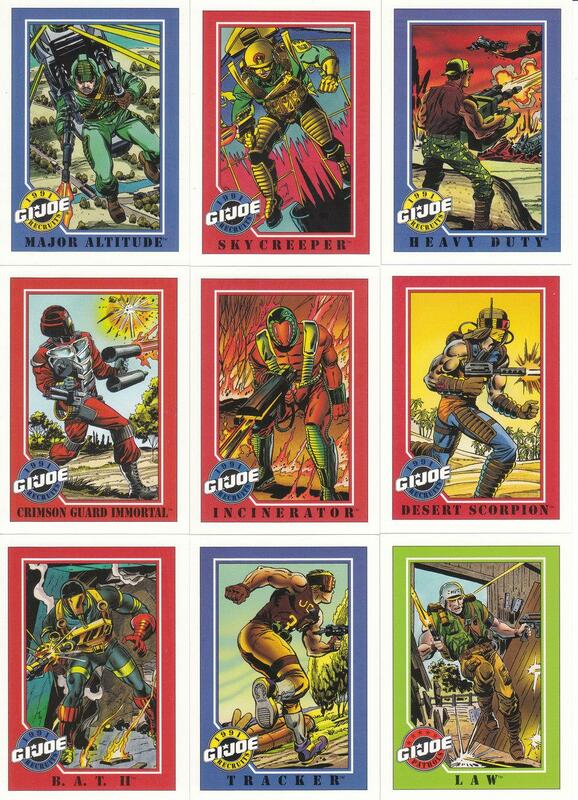 So, by now I'm sure you're all aware of my love affair with early Impel card sets, thus Impel + GI Joe = instant gratification. 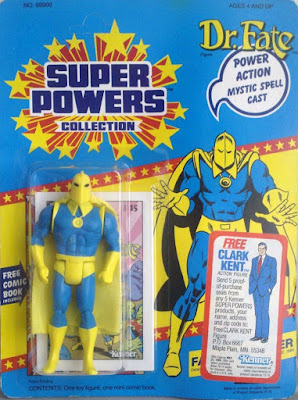 I was a little hesitant since this set seemed to be more focused on the toy line than the Marvel comics, and I took a walk to think it over ("would I get $10 enjoyment out of this complete card set? ", I wondered to myself) and maybe I was running to the ATM. When I had returned back to the vendor's table to buy it, some lucky son of a gun had purchased it while I stepped away. Just goes to show that you've got to move fast at these vendor convention tables. If you have any interest whatsoever in 80s GI Joe action figures or comics, you should check out GI Joe: A Real American Headcast by Aaron Moss. This was a fantastic event and I hope to do it all again next year. 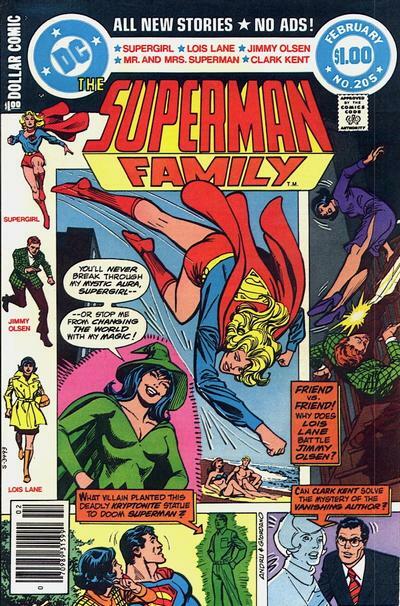 Stay tuned for upcoming articles/interviews with some of the guests we've spoken to <cough> Mike Grell <cough>. Special thanks to Denise and Leeja.